Men's Contemporary Titanium Celtic Ring : LOVE2HAVE in the UK! 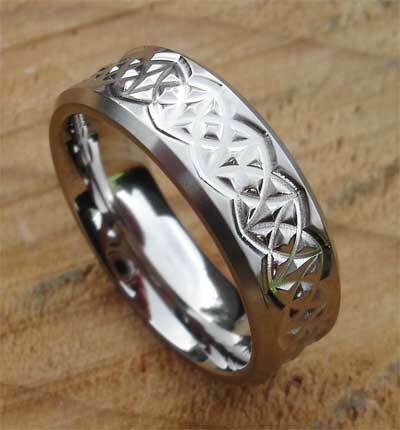 A men's titanium ring with a deep engraved Celtic style pattern and a chamfered edge profile. The patterning is quite chunky on this ring and goes all the way around. The ring measures 7mm wide. Matt finish is pictured. If you are looking for a contemporary Celtic wedding ring but with a modern design style, then this is the wedding ring for you. 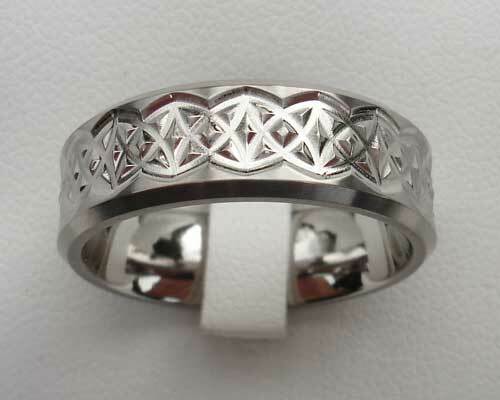 Another of our great ideas for men's Celtic wedding rings that have proven to be very popular with our customers. Returns Policy: You may return this UK made titanium Celtic ring if it is not to your satisfaction as long as it is not engraved. Please see our terms and conditions.